to get here says it all. Well, as the song goes, Fill to me the parting glass, goodnight & and joy be with you all! When Mrs. Schumann introduced us to aqua pencils, I was semi-excited. Then, she told us that we had to draw what we saw in the world around us. As in, actual physical objects! Not ideas that I come up with my head! I almost wanted to say, "I'm f***ed." But she was standing right in front of me. What made it worse was that there was not a lot of vibrant scenery around my school. We are planted right next to a highway, for crying out loud. We are almost directly underneath a bridge! Surrounded by leaveless trees. But, I suppose it could have been worse. We could have been in a school that is literally the only thing in existence, which means that all I'd have to do, in order to draw its surrounding would be to color the entire thing pitch black. The pictures are off a Catholic church in Savannah, Georgia. And, this time, I am 100% certain that it is a sacred building, because there was a wedding go on inside, when I took the picture. But, as you can see, my weaving looks nothing like the original sketch. Oh well. I enjoyed making this piece. It didn't require any creative story behind it. And, I won't add a creative story behind it. My first masterpiece, the portfolio pieces of the two demi-angels was created with the promise of a story. I still have not written that idea down on paper. My second piece was meant to be pretty, but I added in the story of "The Castle of Ekuseni" at the last minute, just to give it some sort of purpose. Now, with this piece, I realize that art is not entirely meant to have any purpose, other than to inspire others. I've been weaving string together for a few weeks now, and it's extremely tedious, I got a freakin' headache from it. I'm making a promise to myself, from now on. At least one visual masterpiece I make each year, will be art for art's sake. There will be no need for it, except to be art. It won't need a backstory. I'll save my stories for the books that I write. No more heaping overly complicated themes onto my creative palate. Well, at least, no more constantly heaping overly complicated themes onto my creative palate. I still do it, because it's fun, but it just gets overwhelming every so-often. ​Oh well, try to visualize me shrugging my shoulders in your mind. Here, I'll help you; A 15 going-on-16 year old girl with short brown hair tied back in a ponytail. Freckles and a pair of hazel eyes adorn a round pale face. She'd clearly look good in cooler colors, like purple and blue. She shrugs her shoulders, because she has a problem with her imagination. See, it's not a dirty mind, it just likes spewing random fictitious thoughts into the vast expanse of her mind. And yet, her mind still isn't even big enough to harbor all that creativity, and it. is. big. So, she must channel all that imagination into her hands, which in turn channel it into a pen/pencil/computer keyboard. These things transfer the imagination into two things: a story, or a visual for the concept of a story. Then, if there is no physically existing concept for a visual, she has to go work with it to make that concept exist. She hates it sometimes. But, it's also fun, so she puts up with it. Now, she'd be promising to make art for the sake of making art when she doesn't want to base an entire book off of a drawing, painting, or artwork. Really, it's ridiculous, but it's fun for a while, so why not? When she wants to. When she doesn't want to, she doesn't have to. But, I digress: The point to this masterpiece is, there is no point! I made it to make it! It was tiring, and tedious, and fun! I'm proud of it, and I would not change a thing about it! 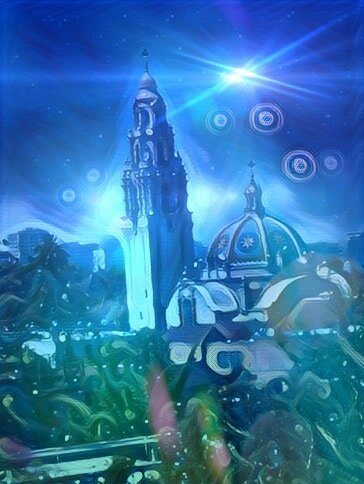 This was originally a picture of a temple in San Diego, which I just recently learned was NOT a mormon temple. So basically, I have no idea what the original picture was. So, instead of naming this "Mormon Temple of San Diego," I decided to make it a reference to a building in my novel "Royal Secrets." In the Queendom of Busuku, the easternmost point is on a plateou. On that plateou is a castle, called Ekuseni, which means "In the morning." What makes it extremely ironic is that the queendom of Busuku is called "The City of the Emva Kweeyure," which means "after hours." Why is it there, you ask? For reasons relating to the plot of the story, of course! The castle is secluded, and well hidden. This is where the would-be queen of Busuku, Angelica Philomena Heartling, will spend more than 14 years of her life. She has been conned out of her own throne, for a reason I will let you read into. She is alone here in her estate, but because of her love for the sunrise, she is semi-comfortable. My inspiration for the city of Busuku came from the concept of foil characters, as well as one of the other civilizations in my story. Here: I'll juxtapose the two. 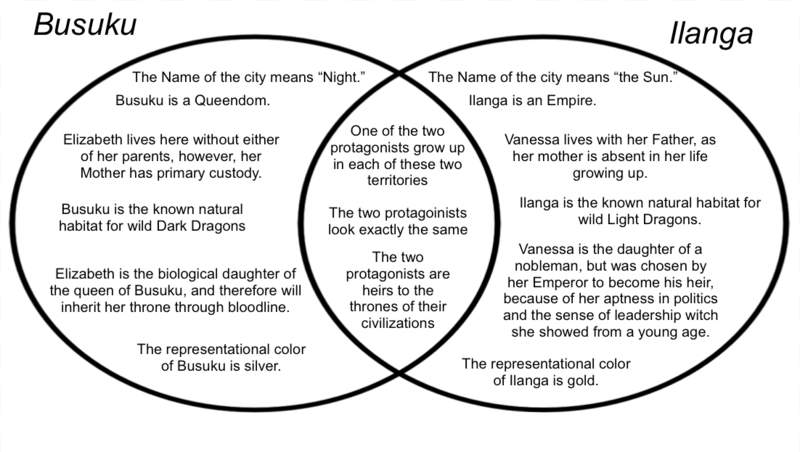 Seeing as Ilanga and Busuku are literally as different as day and night, I strove to make them visualy contrasting. Ilanga has one big palace off to the northwest of the center of the , and the monarch and his/her entire family live there all year. This means, the monarch, his/her consort, any of their children, and the monarch's parents, if they are still living, the monarch's siblings if any, and the family of the consort are allowed to live in the palace as well. However, the monarch's aprentice is not considered family, yet is allowed to visit every three days. If the aprentice is the child of the monarch, he/she will be raised by the highest members of the imperial court. The Palace of Busuku is not nearly as big of a building as the Ilangite Imperial Palace, however, each royal has her own estate. The Queen lives in the largest of the estates, at the center of the city. Her daughters grow up there, but are then sent away to live in their own estates until the queen dies and the eldest daughter comes to take her place. Her younger sisters will continue to live in their estates, with the men they have taken to be their husbands. The sons of the queen are sent to live with members of the queen's court, as a male leader is never to be allowed in Busukian society. In the crisis where all of the reigning queen's children are sons, she will take the eldest daughter of the first child born after her and declare her as the heir. There has never been a crisis where the reigning queen was an only child with no daughters. ANYWAY, I used liquid watercolor to batik the original layers of the picture. And then I added some "accents" to the final product, after scrapping away the resist. When I say "accents" I mean that I painted over at least 65% of the painting with regular water colors. I'll admit, it was nice how it looked before the water color, but the faded yellow circles was depressing, and it was supposed to look like night. 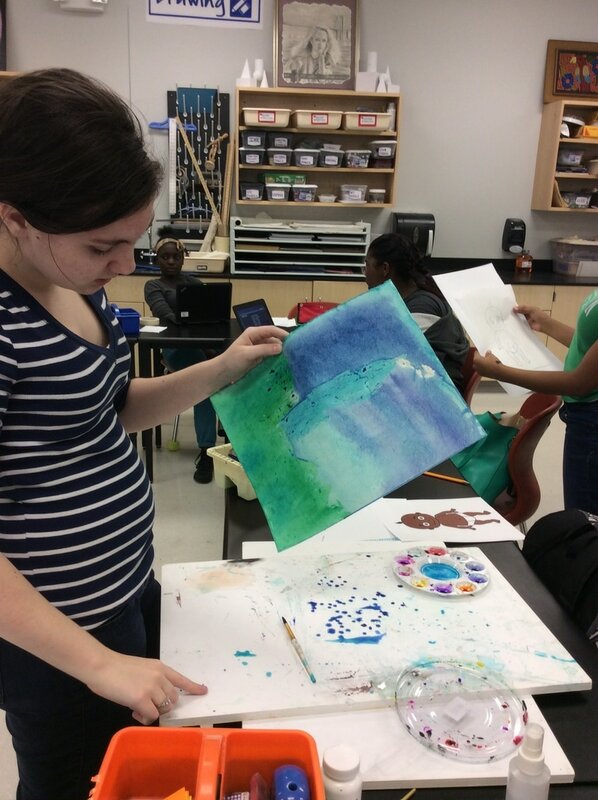 It didn't, so I made the sky darker, using the watercolor. However, overall, I like that it didn't look exactly like the original picture that I used to inspire myself. I took the picture, and then messed around on an app called 'Picsart' with it. 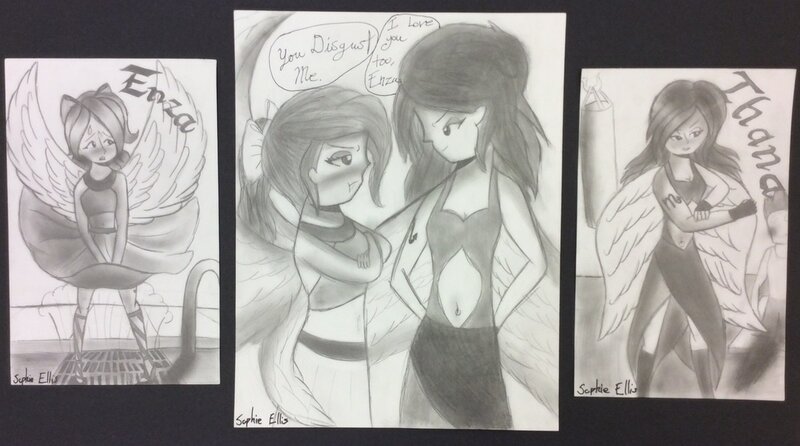 My art consists of three graphite drawings, of which are two different girls. They are polar opposites, but at the same time there are many similarities. On the left is a very sweet demi-angel, named Enza. She’s demure and shy, but also very nice, just as her mother, an angel, taught her to be. On the right is a very bold demi-angel, named Thana. She’s an outspoken feminist, who has no problem beating up a guy who doesn’t treat her like a woman instead of an object. She was raised by her human mother, who taught her to not be afraid to show a man what she’s about. She’s also a scorpio, and she made sure everyone knew it by getting it tattooed on her right arm. She tried to convince Enza to get one of her sign, the gemini, but she refused to let someone inject ink into her arm. Also, the two are inseparable. I use graphite to draw the pictures, which show the girls in poses which best express their personality and relationship with each other. The style of Enza’s wavy hair, which in color would be a strawberry blonde, is a technique that highlights the natural shine of the hair and the way it clumps together into tufts. However, when I tried to replicate it with a darker hair color, such as Thana’s spiky chestnut brown hair, it didn’t work, and I don’t know why. Then, when I tried to replicate it onto the third and largest of the pictures, I failed again. That’s why I intend to practice the art of drawing hair. 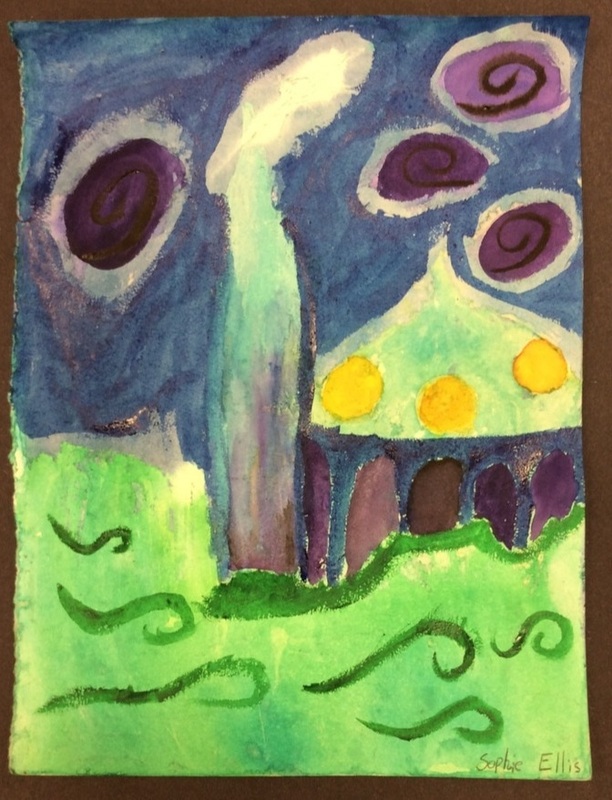 My art was inspired my vision for a new story that I plan to write. I’m not sure what to call it yet. The pictures themselves are “concept art”, which is my way of saying “Character Designs”. They take the concept of the character and design a work of art based on him/her, so that the reader can understand them on a more personal level. If you can see something, whether on a physical or mental level, that makes understanding it all the easier. Enza is shown in a Marilyn Monroe pose, but she’s embarrassed by it. She has a beautiful figure, but there’s a heart-shaped birthmark on her thigh, and she’s very shy about showing it to people. Thana is shown in her own version of a Rosie-the-Riveter pose. There’s a punching bag and a man with a bruise in the background, showing what her ‘fiery’ personality is capable. Also, in the largest piece, Thana has her wing around Enza’s waist, that’s to show just how close the two of them are. I’m going to make that a crucial concept in the book that much I guarantee. The point of these pictures is to teach the readers about the characters themselves, and the relationship they have with others. Overall I’m extremely proud of myself with these drawings. I had fun, and the end result is very awesome! This is the tab that all my "school" artwork goes.